He started his Bollywood career with Dev D, and from there on, it hasn’t been too hard for us to differentiate an Amit Trivedi song from the rest. 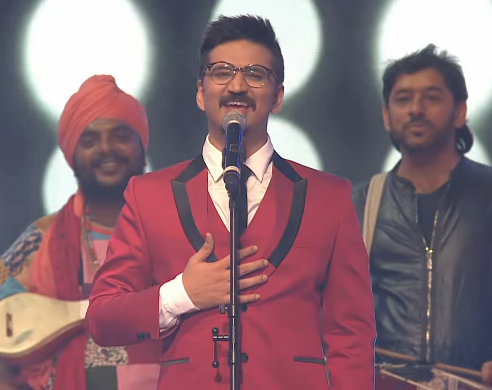 Be it the sound or the soul of his music, Amit Trivedi’s vibe is not to be missed. Known for his unique style, Amit has rendered music that has an unconventional character yet is extremely rooted. From words to emotions, it’s a dramatic journey that might start on an edgy note, traverse levels of unattainable calm, and reach the unexplored. It’s a different perspective altogether. With a fine sense of instrumentation, Amit Trivedi’s experiments with sound and genres pierce the mundane to find the marvellous. We recently came across his performance at the 9th Royal Stag Mirchi Music Awards, 2017. Rustic, folksy, and fun – the performance platforms regional flavour like never before. And you are sure to fall in love with Voctronica- Acapella Band, your all-vocal orchestra. Here’s the musical medley that’s truly breathtaking…time for some music moving at a crazy beat!